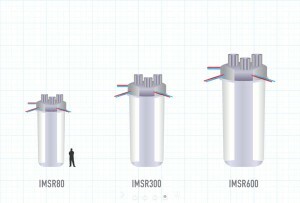 Terrestrial Energy is on the path to commercializing its Integral Molten Salt Reactor (IMSR), which it says holds the greatest promise as an alternative to conventional energy sources. Global energy demand will grow substantially over the next generation, driven primarily by population growth and industrialization in Asia. Many countries seek secure, cost-competitive energy sources that avoid the climate-changing greenhouse gases generated by coal, natural gas and oil. The molten-salt reactor system differs fundamentally from today’s water-cooled commercial reactors. Instead of using solid uranium as fuel, it dissolves the uranium in liquid salt mix. 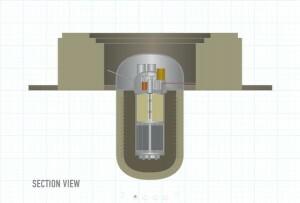 Irish said the technique gives the molten-salt reactor a unique safety profile. Although the molten-salt reactor is not yet commercially available, it uses a recognized, proven nuclear technology demonstrated in the late 1950s to the 1970s by the illustrious Oak Ridge National Laboratory in Tennessee. The trick is to change a working laboratory reactor into a reactor suitable for industry – and that’s where Innovation comes in. 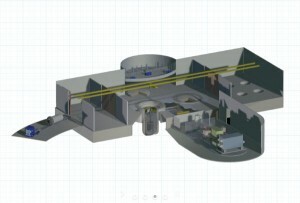 Building on the Oak Ridge demonstrations, Terrestrial Energy has developed a reactor system that appears simple, safe to operate, convenient and highly cost effective for industry. It could enter service early next decade.